This piece is about SATURATION III, the album released on December 15th from Brockhampton (stylized BROCKHAMPTON). For more on the boy band and their rise to prominence, please see WRVU’s In-Depth Look: Who is BROCKHAMPTON? The last in the SATURATION series, Brockhampton’s new album is a showcase in everything they do best: lyrical vulnerability, eccentric soundscapes, and teamwork. The third and finale of the series, which was crafted and released all within 2017, Brockhampton’s newest release is the most cohesive album to date. If SATURATION I was an experiment in their style and a challenge to produce a good album on a deadline, and Saturation II was revitalizing that formula after learning from the first time, then SATURATION III is the culmination of six months of hard work and development. On SATURATION III, Brockhampton remains fundamentally true to the voice they’ve developed as a group, while innovating the sound so the album is musically different than the other two in the SATURATION series. They maintain their basic flow: a simple, normal time, statement oriented style — sometimes now referred to as the Brockhampton Flow. They sustain their commitment to lyrical honesty and vulnerability, while changing up some of the sounds behind the words to give us a new experience. Alternative album art for SATURATION III. It is not, in fact, their last studio album — Brockhampton has already confirmed their fourth album, TEAM EFFORT, will be released in 2018. Individually, each of the SATURATIONs is enjoyable to listen to, and each has standout songs from the project. 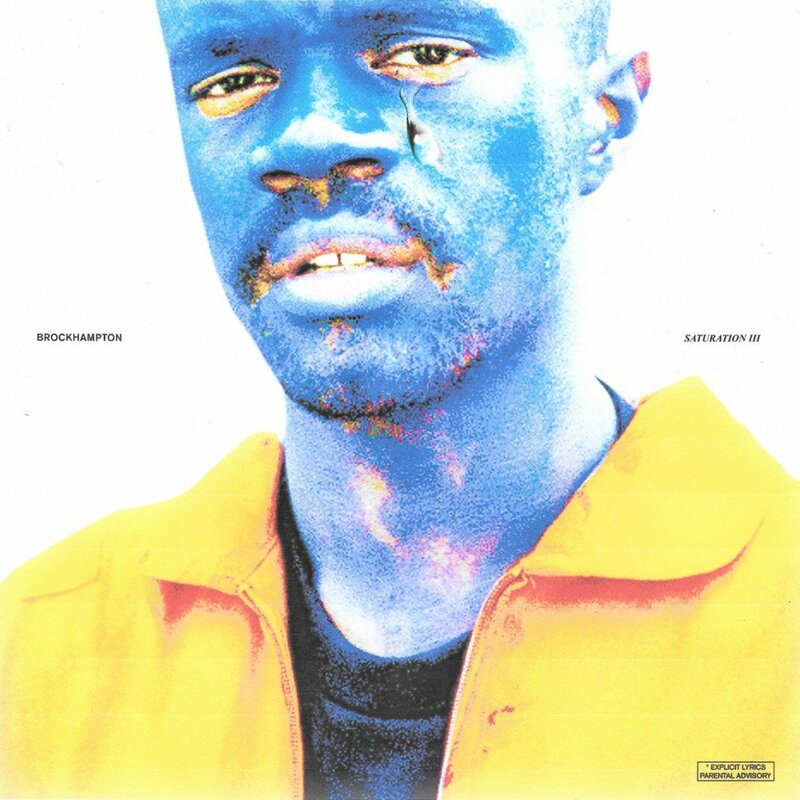 Some of the songs on SATURATION II, in fact, are my favorite Brockhampton songs, especially “JUNKY,” “SWAMP,” and “GUMMY.” But on SATURATION III, Brockhampton really comes into their own. They’ve had two similar projects under their belt, and on the third one they’ve fine tuned the technique and are having fun. And when I say these songs are fun I mean these songs are FUN. “BOOGIE,” the opening track, is a loud, grooving upright bop that opens the album with energy and presence. I also especially liked “ZIPPER,” “STUPID,” and “ALASKA.” If SATURATION II was Brockhampton solidifying their portfolio and establishing themselves as legitimate, then three is them building on that identity and just playing. I am particularly fond of the yelling, emphatic flow that Merlyn Wood uses frequently — it’s reminiscent of A$AP Ferg on “Old English” — and it’s charmingly hype. SATURATION III is a good listen. It offers us something a little different from the other two, and is the culmination of six months of Brockhampton refining their style and embracing who they’re trying to be. I’m excited to see what they do next, but thankfully they’ve left us with an excellent Saturation series in the meantime. 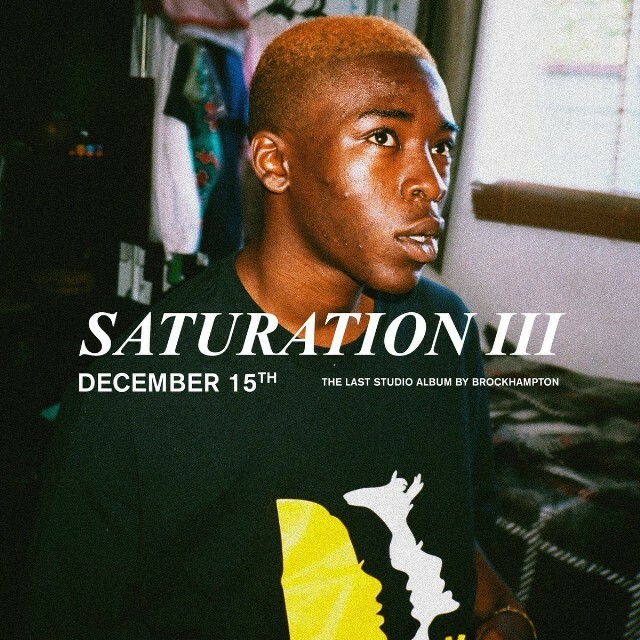 Saturation III is a wonderful conclusion to this project, and they’ve accomplished the goal of leaving the market saturated with their sound.